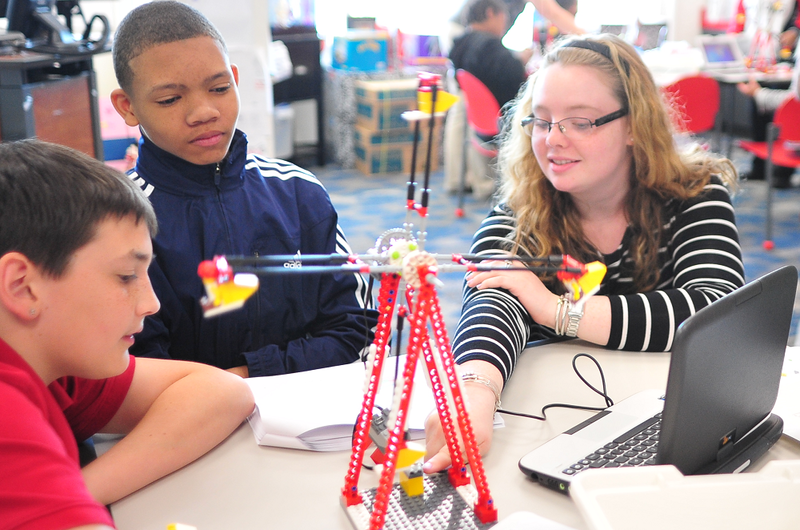 About 1 in 68 school-aged children has been diagnosed with autism across the country. In Arizona, that rate is 1 in 66. 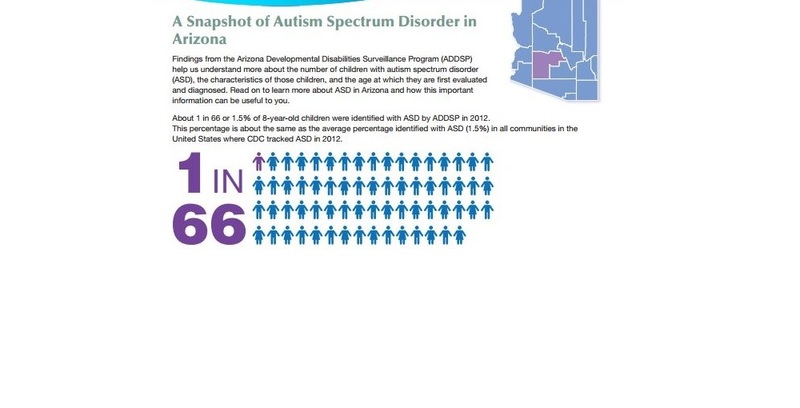 That rate has stayed consistent since 2014, as the Centers for Disease Control and Prevention’s Autism and Developmental Disabilities Monitoring Network has tracked the prevalence and characteristics of Autism Spectrum Disorder among 8-year-olds in 11 communities in the U.S. – including Arizona. Now, the CDC released a new report that shows in Arizona many children are not getting diagnosed as early as they could be. That needs to change, according to Dr. Christopher J. Smith, vice president and research director at the Southwest Autism Research and Resource Center (SARRC). “We know that early intensive behavioral intervention is the most significant thing that we could do for children with autism,” Smith said. The CDC’s report shows that about half of children weren’t diagnosed with autism until they were about 4.5 years old, even though autism can be detected when a child is between 12 and 18 months old, Smith said. To help change that, SARRC launched a program in 2014 funded by the National Institute of Mental Health to build a network of more than 100 pediatricians who all use the same procedures to detect autism at the 12 month, 18 month and 24 month well-baby visits. Whenever a doctor detects a child with these symptoms, they’re referred to SARRC for a free evaluation, Smith said. But for children outside of that network, finding care can be a challenge. They can get stuck in a backlog for more than a year, Smith said. The number of kids coming in for evaluations “are overrunning the few number of professionals that can perform these diagnostic evaluations,” he said. 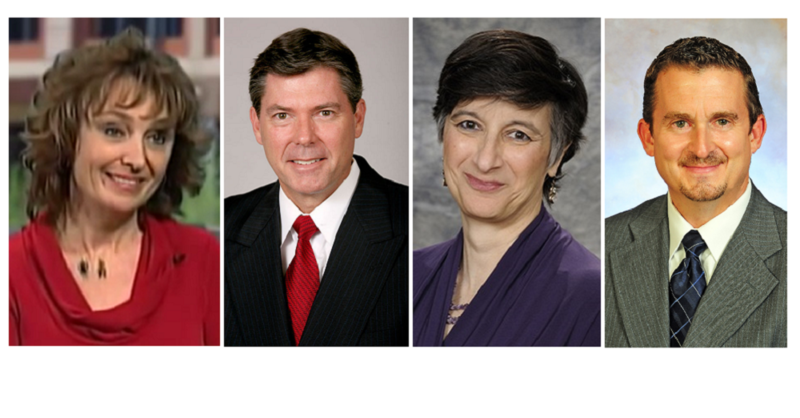 For children who don’t have access to regular healthcare, early detection can become nearly impossible, Smith said. 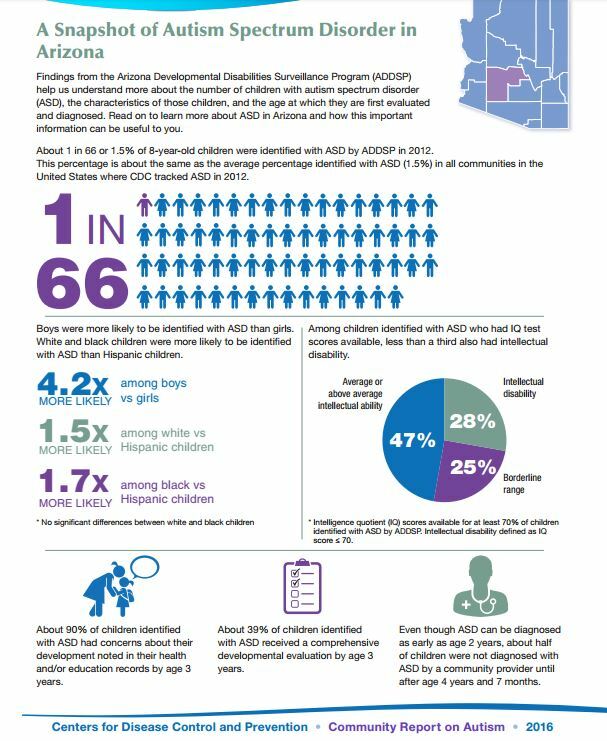 The CDC also found that in Arizona Hispanic children are much less likely to be diagnosed with autism than white and black children. They can’t be sure why, Smith said, but it could have to do with socioeconomic status. If a child’s parents can only go to the doctor when something is wrong and they don’t get those regular well-baby checkups, it’s much less likely that a doctor will be able to do a thorough screening for autism, he said.